Megan M. Clark’s primary area of practice is general litigation, including insurance defense, insurance coverage, bad faith, premises liability, property insurance, estate planning and succession law. Her estate planning practice is comprised of testament, power of attorney/mandate and living will preparation and execution. After obtaining her undergraduate degree in Business Administration with a concentration in Accounting from Louisiana State University Alexandria, she obtained her law degree from Louisiana State University Law School. Before starting as an associate with Galloway, Johnson, Tompkins, Burr & Smith, Megan worked in insurance defense litigation and estate planning. 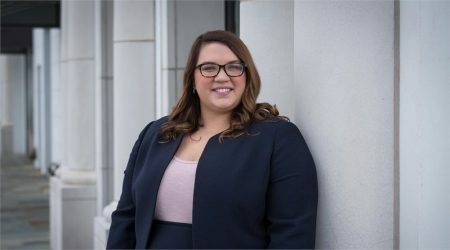 Immediately after graduating from law school, Megan served as the judicial law clerk for Judge Bennett and Judge Spruill of the Twelfth Judicial District Court located in Marksville, Avoyelles Parish, Louisiana. Louisiana State University School of Law, J.D.